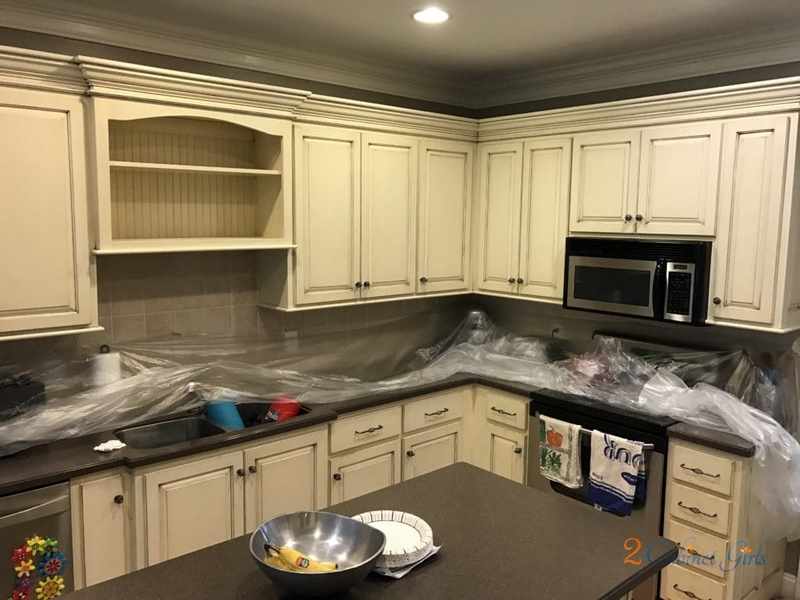 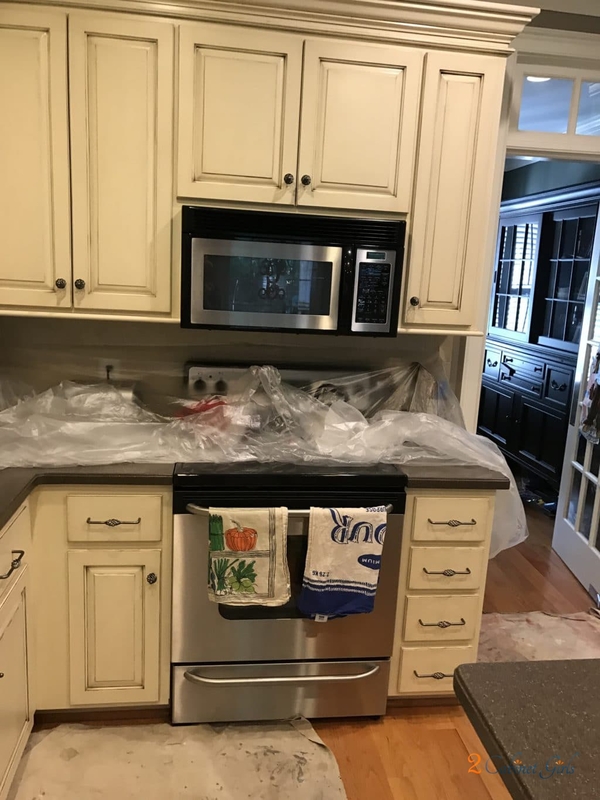 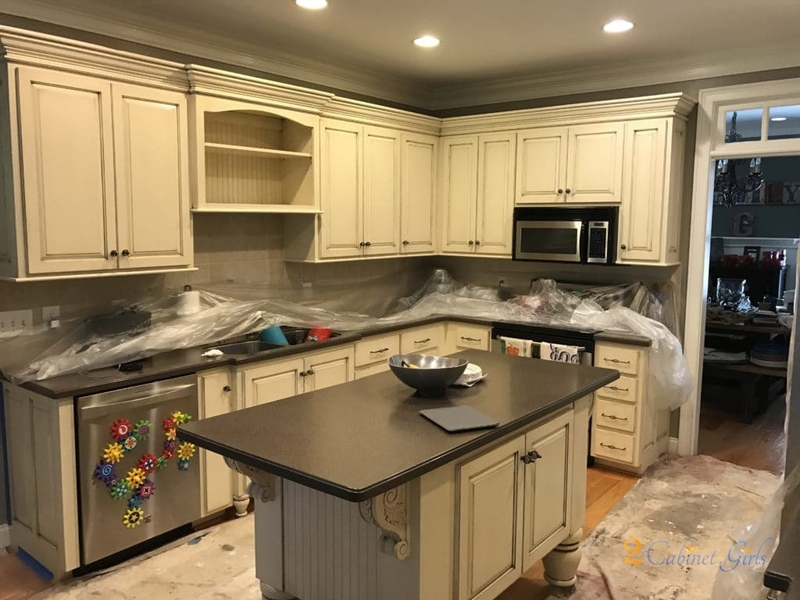 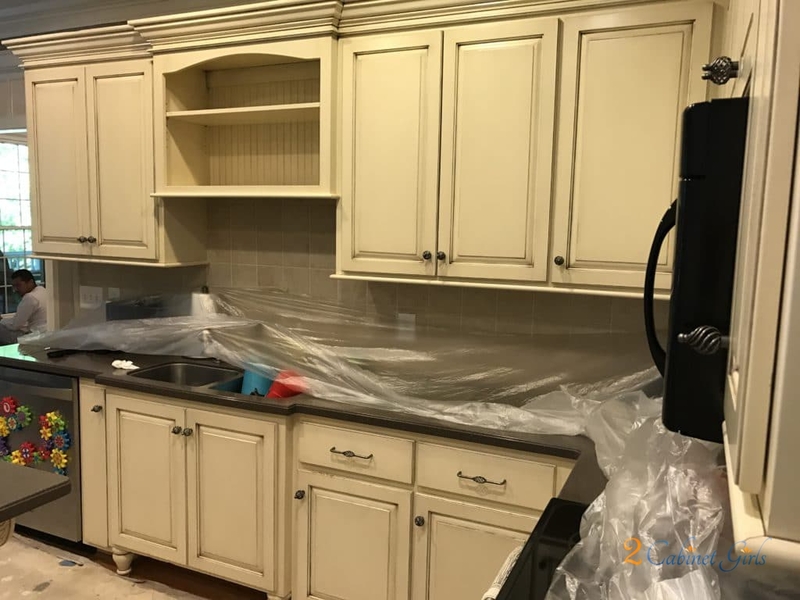 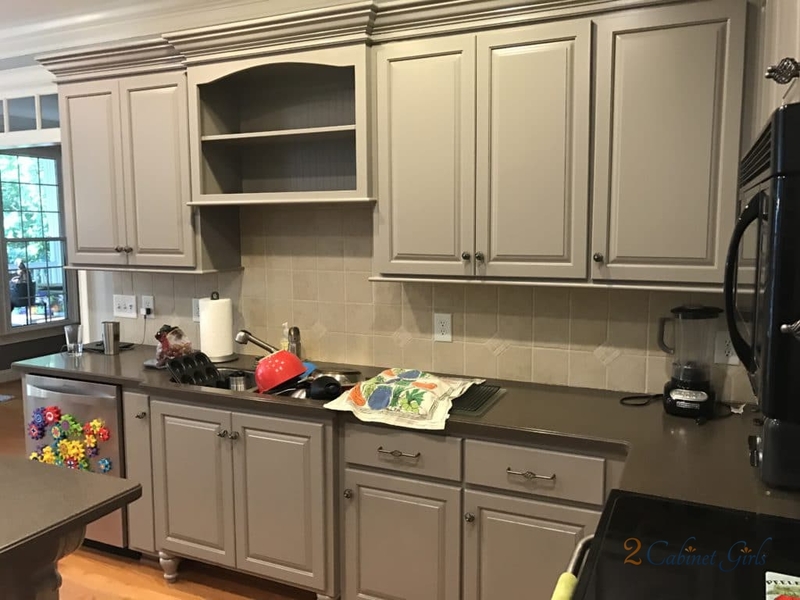 My homeowner was ready to say goodbye to her creamy cabinets with the allover chocolatey glaze. 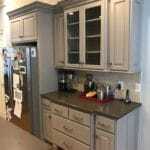 She was in the process of switching her household color scheme to more of a gray based theme. 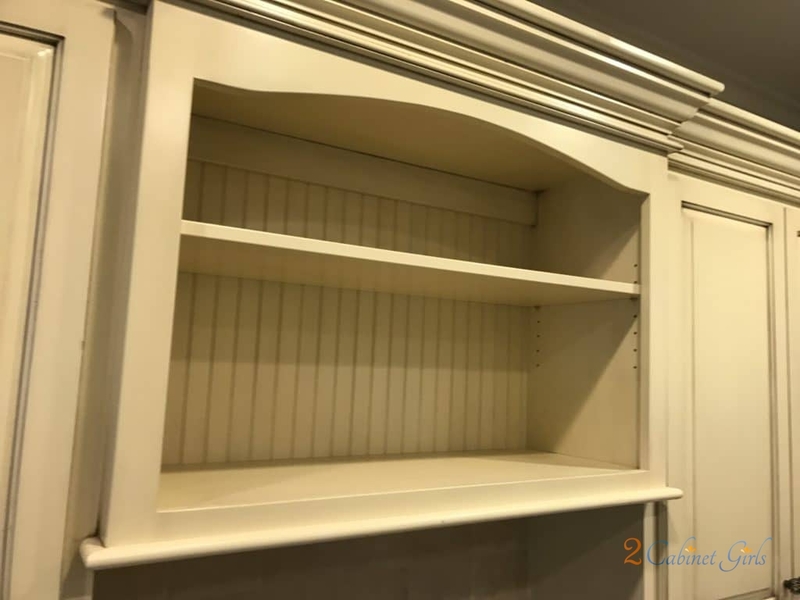 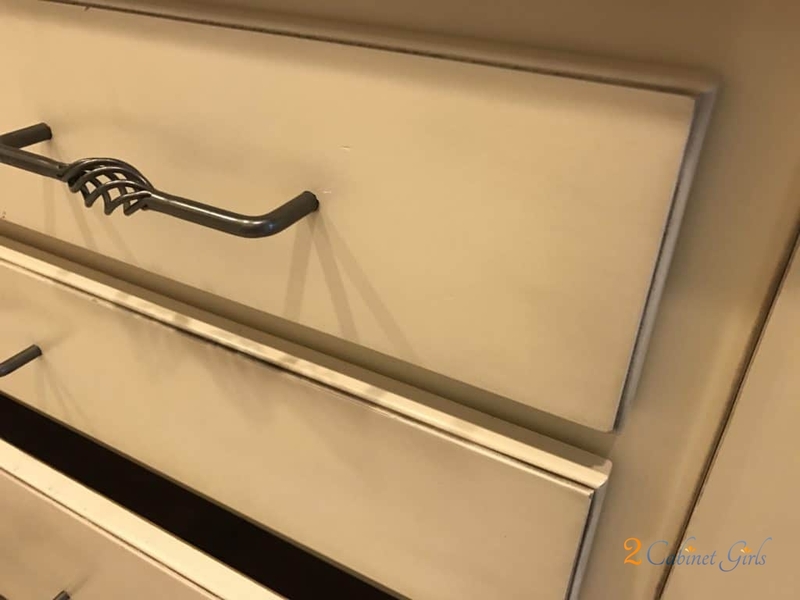 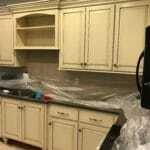 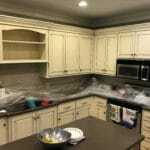 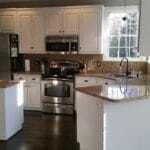 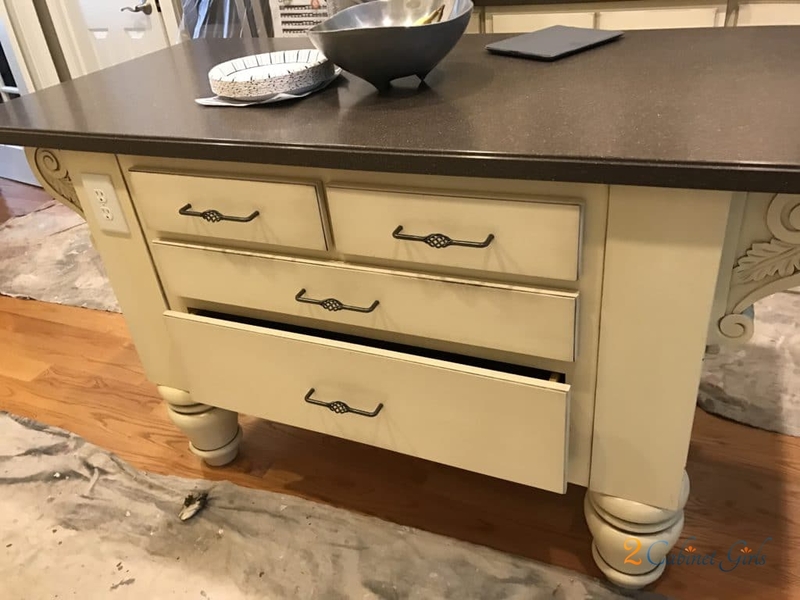 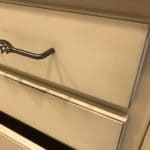 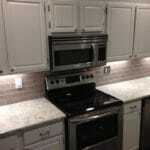 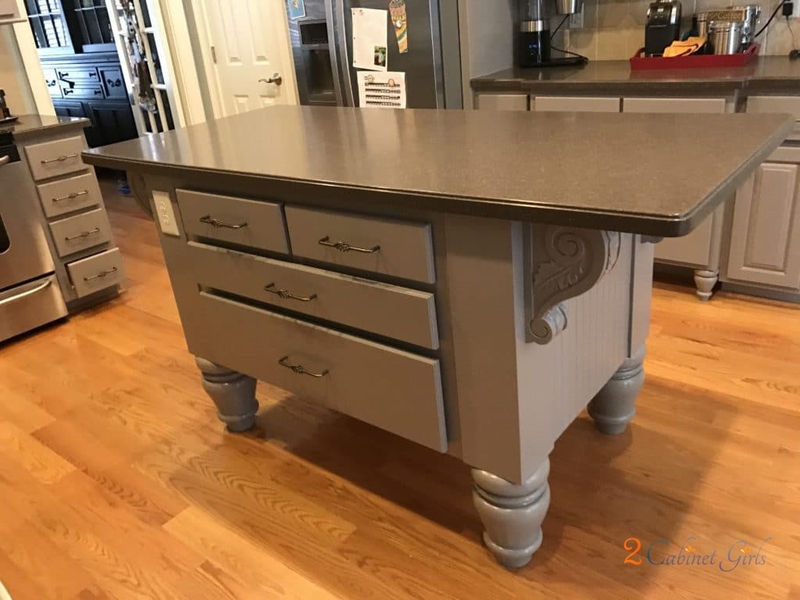 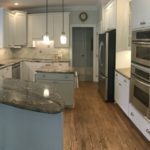 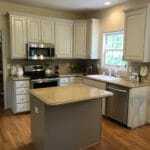 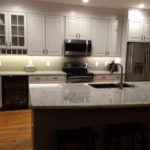 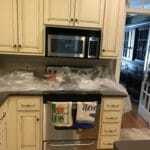 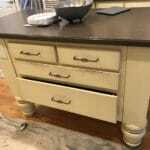 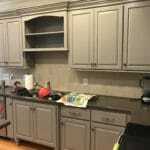 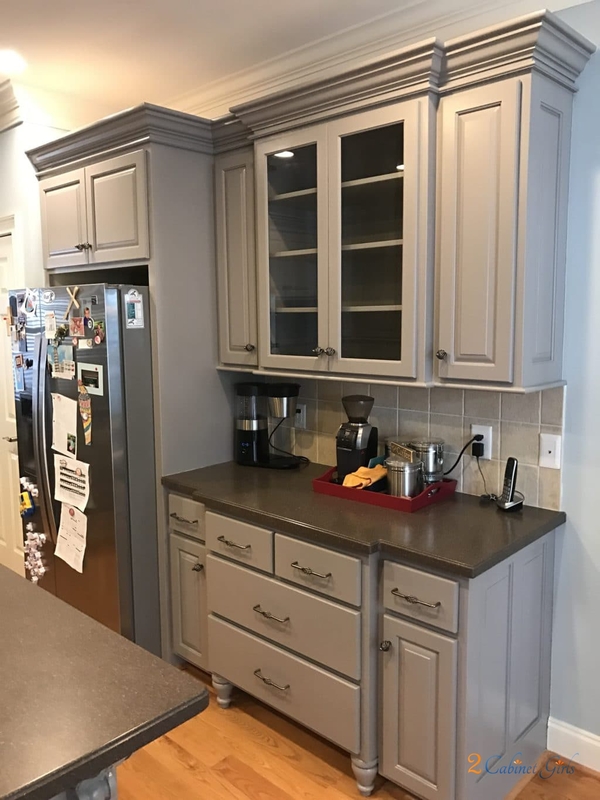 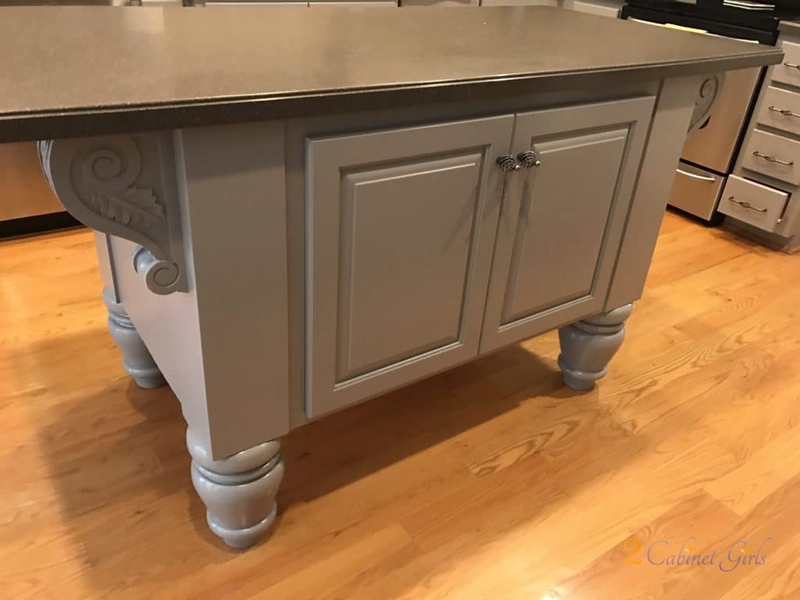 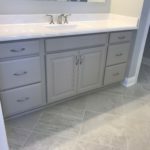 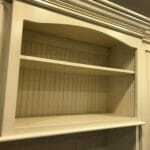 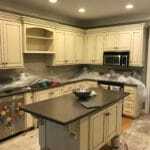 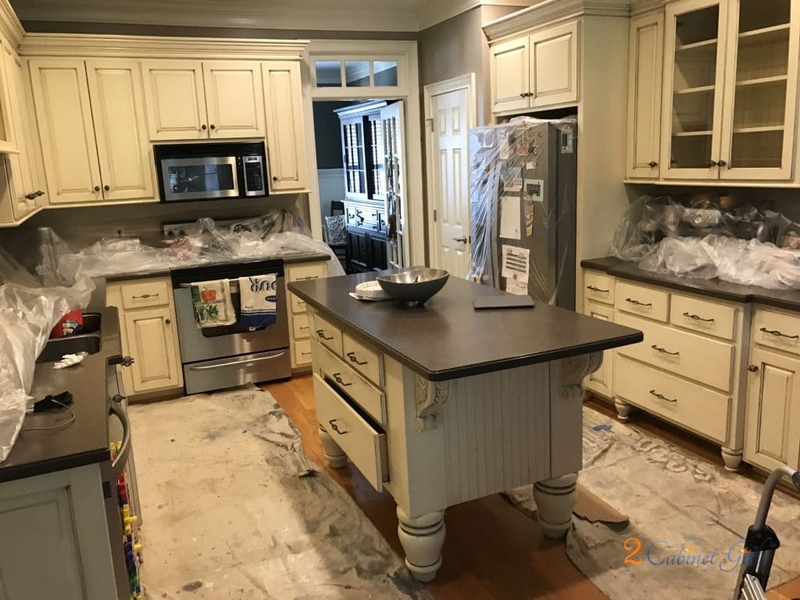 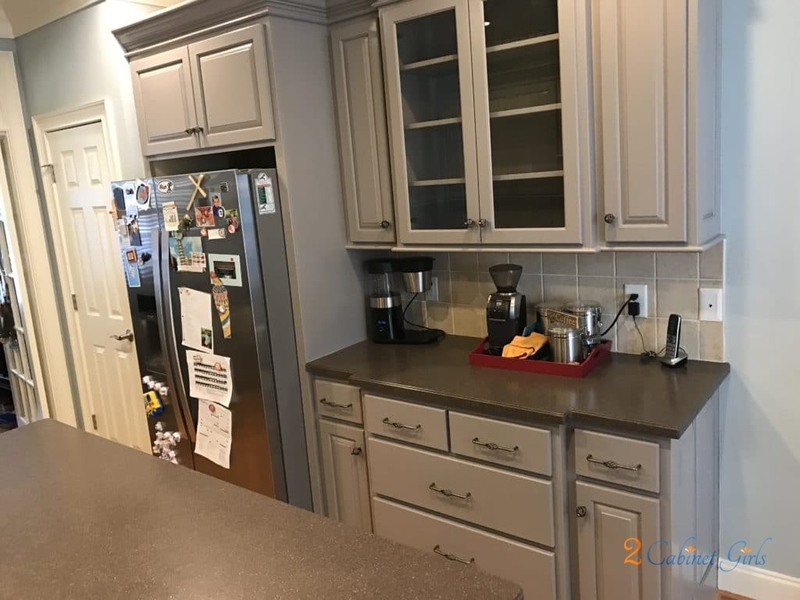 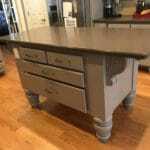 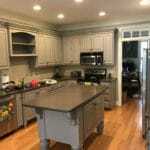 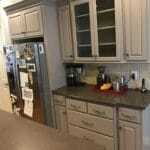 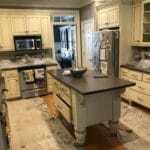 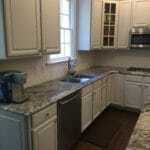 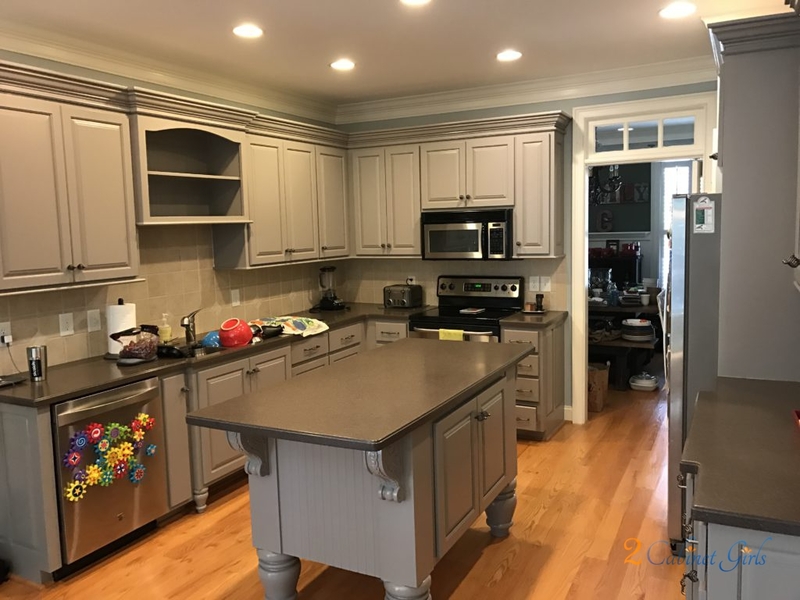 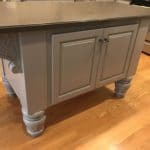 Using a cool gray on the cabinets helped to complete the transformation.